It's been forever since I've done a monthly favourites post! I thought it was about time I got back into it, so here are some of the things I've been loving in June. I exfoliate every day for clear skin. I used to use a Tresonic facial cleansing tool (a cheaper version of the Clarisonic ) but it recently broke. I decided to try a facial scrub with salicylic acid as my skin responds well to it, and this scrub was one I found at a local store that wasn't too expensive. I don't necessarily have blackhead problems, I just wanted the exfoliating action. It makes my skin feel amazing! I can feel it working as I use it - it takes on a kind of cold feeling - and when I rinse it off my skin feels so clean and moisturised, without any residue. It looks clearer too. I highly recommend it. In fact I can't rave about it enough! BUT after watching this video I make sure to keep my eyes closed when using it! Yes, yes, I am way late to the iPhone party, but I couldn't really afford one before. I can't really afford one now, so I've had to get one the cheap way. A little while ago we sold our car and bought a different one that suits our needs better and was actually less expensive, so we have some money socked away in the bank (which is always a relief) but at the same time Grant and I used some of the money to treat ourselves to a couple of second-hand iPhones. They are the 3Gs model, which suits us fine. I'd rather have an older iPhone than not have one at all. We also didn't change our service provider as we each use pay-as-you-go (it's way less expensive than a contract) so we don't have data when out and about but we still adore our phones way more than we probably should! 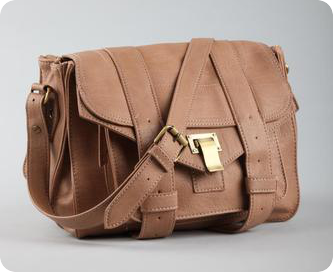 I have this bag in tan (as pictured) and black. It is absolute perfection! I searched for a bag exactly like this forever. I'm planning on doing a "What's in my bag" post soon, so you'll see more of it then. I've linked to it above, but sadly Cotton On only have green ones left. I am so glad I was able to get the colours I wanted (and they were both on sale too!) - I completely love them. 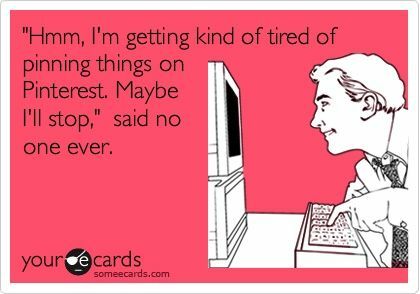 I'm sure you all know about Pinterest by now. For those who don't, it's a website where you can "pin" favourite things that you find on the internet - links, recipes, photos, etc. You can also browse everyone else's pins, search the pins for specific ideas, browse certain categories (for example, "Women's apparel" if you only want to look at fashion pins) and follow other people whose pins you like. It's just the perfect way to unwind and be inspired. And of course, it's always super fun for me to run across my own blog posts that have been pinned by other people! You can see my boards here to check out what I've pinned.